For some reason, I wanted to have this dvd for a long time. When I finally got it, I didn't immediately watch it. Last week I had some spare time, so decided to see this movie! 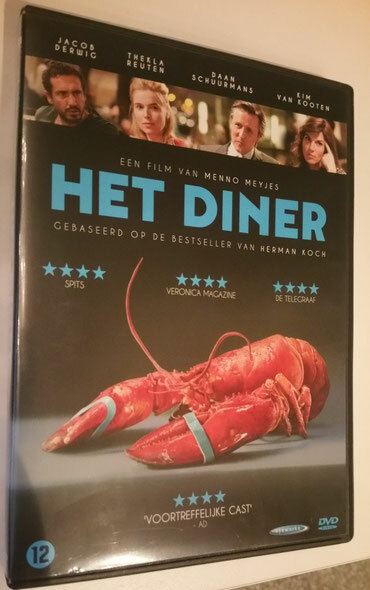 The movie is based on the worldwide bestseller "Het Diner" (The Dinner) from Herman Koch. The director of the movie is Menno Meyjes, he's also known for directing Martian Child and De Reunie (The Reunion). There's one big issue which connects them. However they initially don't want to talk about it. Their sons did something stupid. Not only someting stupid, something very, very wrong. During the movie, you see each of the parents struggle with this act. Struggle between emotions, responsibility and empathy. The central question is: What to do now? What's the right thing to do? Or should you pick the safest or smartest option? The right thing, isn't always the most attractive option. Ofcourse, they don't agree. Therefore, the game is on. Anger, manipulation, fear, confusion, they all show up. The parents are so different from each other. There's Serge (Daan Schuurmans), a politician who is in the run for becoming prime minister. He has a clear view on what he wants to do. He even sets a plan. Before the dinner, he already decided what would be best for all of them. But what are his motives? Who does he try to protect? It's clear to see that he and his wife (Kim van Kooten) are having a huge struggle. She's mainly struggeling with herself, commenting on the others. She's clearly insecure. The other parents are Claire and Paul. Paul (Jacob Derwig) struggles the most. Mainly with himself. He's a former history teacher and a real thinker. He overthinks everything. But with that, he doesn't really take any action. He wants to protect his family and just be happy. Initially he didn't discuss what happened with his wife, trying to protect her. He thought it would ruin her to know what their son did. Claire (Thekla Reuten), his wife, seems a loving quite mother. She seems a bit distant in everything that happened. But during the dinner, you get to see more of her. She is way more calculating and manipulative. She plays a significant role in this. How long did she already know about the events? The first half, I really had to get used to the movie. It didn't get me from the first minute. But after some time, I really enjoyed the development of the characters. The storyline isn't always that believable. Sometimes even a bit over the top in my opinion. But: It surprises and the character development is very well done. Especially the change in Claire's behavior and witnessing this also through the eyes of her husband: That was very interesting to see. This is the kind of movie you will want to watch twice: Once just to watch to story, the second time to really study their behavior. To see all four of them act and see emotions passing by. 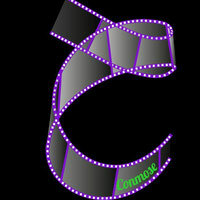 That's what makes this film interesting. For me, the acting of Thekla Reuten really carried it to a higher level. She plays her role very well. And I love her character in this movie. I was less impressed by the scene that showed what the boys did: That wasn't really convincing to me. It's a good thing the movie mainly focussed on the diner. That made it a strong storyline.